Size: 17in L x 6.75in H x 20in Dia. 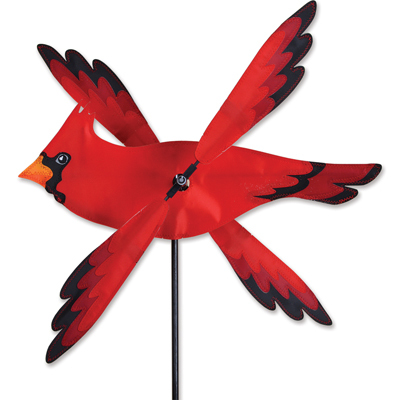 From Premier Designs, the 17 inch Cardinal Whirligig makes a fun and charming addition to any outdoor decor. Great colors, fast movement and ease of assembly are the hallmarks of the 17 inch Cardinal Whirligig.